Daily coverage of media channels - 1960-2010 (Norway) http://goo.gl/2yceD - great graph! Episode #16 - Web Analytics TV With Avinash Kaushik and Nick Mihailovski" - great show answering your analytics questions! Report: Brands Pursue the Social Consumer. Earlier today I posted "How to convince a skeptical audience into embracing social media". Also, "How to Sell Your CEO on Social Media Marketing". Google Expands Street View's Reach Off Road. Motorola's Xoom meets its toughest test: HTML5 benchmarking. Note: BTW - the iPad 2 is coming out tomorrow. Paywall Strategies 2011: Forrester Analyst Nick Thomas on "monetising the user, not the content"
That was quick. Verizon to Drop Unlimited iPhone Data Plans as Soon as This Summer. What a Small Linen Company Can Teach You About Social Media. The usual nonsense. About online video adoption. 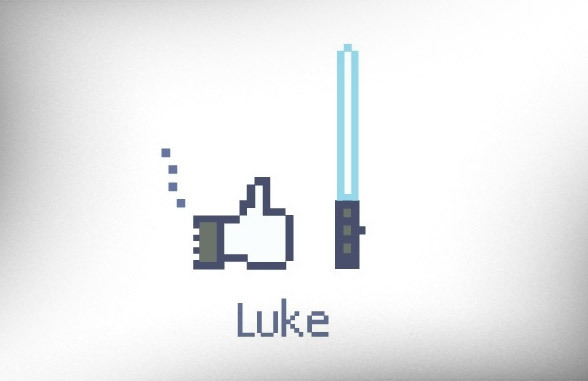 And finally, If you don't like Facebook's Like button... use the force!